Inyo County is just south of Mono County, and includes the towns of Bishop, Big Pine, Independence and Lone Pine. If you're driving on Highway 395, odds are you'll pass through Inyo County - so be sure to check out these highlights! Mount Whitney is a whopping 14,505 feet tall and the highest point in the contiguous United States! The west slope of the mountain is in Sequoia National Park, the summit is the south end of the John Muir Trail, and the east slope is in the Inyo National Forest. You can see the peak from Lone Pine, and Whitney Portal Road heading west out of town is the access point for hiking trips. Good to know: Hiking Mountain Whitney requires a valid overnight permit or day-use permit year round and it must be reserved in advance. Stop by or call the Eastern Sierra Visitor Center in Lone Pine for more information (760) 876-6222. Death Valley National Park has over three million acres of designated wilderness and hundreds of miles of backcountry roads. The park contains an amazing variety of terrain, historic sites, plants, and animals. Some of the highlights of Death Valley are Golden Canyon, Artist's Drive, Devil's Golf Course, Natural Bridge, Zabriskie Point, Dante's View, Twenty Mule Team Canyon, Titus Canyon, Eureka Dunes, The Racetrack and Badwater, the lowest point in North America at 282 feet below sea level. From Mono County, head south on Hwy 395 to the town of Lone Pine. Stop by Eastern Sierra Visitor Center in Lone Pine for DVNP information before taking Hwy 196 into the park. There are limited services available in Death Valley – check the Park website before traveling for visitor centers, services, road conditions, and the weather forecast to be prepared for your trip! Ancient Bristlecone Forest is home to the oldest recorded living organism on earth! A millennium older than the Giant Sequoia trees in the nearby Sierra, many are well over 2,000 years old and some over 5,000 years old. Take Hwy 395 to Big Pine, and turn onto State Route 168 (Westgard Pass). After 13 miles of paved road, take the signed route to the Shulman Grove of trees. The road to the Ancient Bristlecone Pine Forest is almost 10,000 feet high in the White Mountains (the views are incredible!) – the route is closed during the winter, but is typically open from May through November. Call the White Mountain Ranger Station for conditions (760) 873-2500. In 1942, the United States government ordered more than 110,000 men, women, and children to leave their homes and detained them in remote, military-style camps. 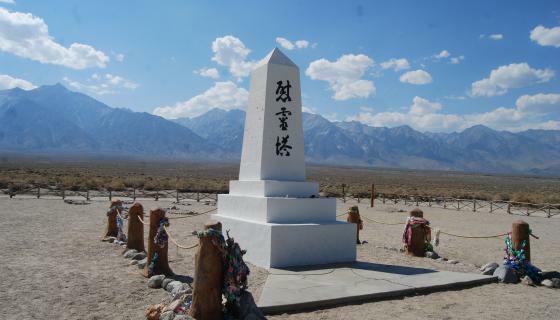 Manzanar War Relocation Center was one of ten camps where Japanese American citizens and resident Japanese aliens were interned during World War II - Manzanar has been identified as the best preserved of these camps. Learn what those living at the camp experienced through extensive exhibits, a 22 minute film, bookstore, two reconstructed barracks and a mess hall with exhibits. There is also a 3.2 mile auto tour that follows the remnants of orchards, eleven recently excavated rock gardens and ponds, building foundations, and the camp cemetery. More information on website at www.nps.gov/manz/index.htm or by calling (760) 878-2194. For more information, maps, visitor guides, and more, please check out the Inyo County visitor website and the Bishop Visitor Information website. if you&apos;re planning any off-road adventures, be sure to pick up a copy of the the Backroad Tours of the Eastern Sierra - Inyo County! 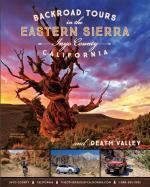 Other Mono County and Eastern Sierra visitor guides can be found here.